The Prison Radio Association aims to contribute to a reduction in reoffending using the power of radio. Faced with an increase in incidence of self-harm and suicides amongst young men in his care, the Governor of HMP YOI Feltham was approached by two local residents, Roma Hooper and Mark Robinson, with the idea of setting up a radio station to keep prisoners company at night when they were at their most vulnerable. The Prison Radio Association (PRA) is established as a charity in response to a growing demand from prisons to engage with prison radio. Its function was to offer guidance and expertise to prisons interested in setting up and running their own radio projects. In November, the PRA launches Electric Radio Brixton, a radio station which broadcast programmes made by prisoners directly into the cells of HMP Brixton. The PRA runs its first annual conference for prison radio practitioners, offering sessions on how to make appropriate editorial decisions in a prison setting, practical programme-making skills, as well as the chance to share best practice with colleagues from different prison radio projects. Electric Radio Brixton breaks new ground by beating the biggest radio networks in the country to win four coveted Sony Radio Academy Awards for its programming. This was followed up by further success at the Sony Awards every year since. To date, the PRA has won 10 Sony Awards. Later that year, Electric Radio Brixton re-launches as National Prison Radio, the world’s first national radio service for prisoners. Part of a ground-breaking partnership with the National Offender Management Service (NOMS), National Prison Radio broadcasts 24 hours a day, seven days a week via in-cell TV. National Prison Radio’s programming supports NOMS’ seven pathways to reducing reoffending and offers the chance for prisoners, staff and guests to discuss issues related to prison, offending and rehabilitation. The emphasis is on helping prisoners to take responsibility for their own lives and the lives of those around them, as well as providing information about support services available in prison. National Prison Radio offers positive peer influence directly to prisoners in their cells, in a way that no other intervention can. The PRA helps to set up a prison radio project at HMP Styal. The PRA continues to work with the women serving time at HMP Styal to produce programmes for National Prison Radio. National Prison Radio launches its daily breakfast show, Porridge, which aims to give prisoners a positive soundtrack to create the right state of mind for engaging in the important work that takes place in prisons across England and Wales. Porridge receives a nomination for Breakfast Show of the Year at the Sony Awards in 2012. The PRA launches projects at HMP High Down and HMP Hindley, both of which produce programming for National Prison Radio. National Prison Radio increases its daily Request Show from one hour to two hours, in order to cater for the increasing number of song requests the radio station receives from prisoners and their families. National Prison Radio wins Station of the Year at the 2012 Radio Academy Nations and Regions Awards. The PRA produces its first programmes for BBC Radio. National Prison Radio is made available in 100 prisons across England and Wales. PRA Productions is launched with an event at the Magic Circle Theatre in London. PRA Productions is the PRA’s audio production arm, specialising in making powerful, life-changing audio products targeted at specific audiences. PRA Productions creates a monthly podcast for Phoenix Futures through an innovative workshop production model, and is commissioned to produce content for organisations like the Samaritans, the Department for Work and Pensions, Staffordshire County Council, London Probation Trust and the BBC among many others. National Prison Radio is nominated as a Station of the Year at the 2013 Sony Radio Academy Awards. In April, the PRA opens a brand new production centre in HMP Coldingley, a Category C working prison in Surrey, allowing even more prisoners to contribute to National Prison Radio. In November, Andrew Selous MP, the Minister for Prisons, Probation and Rehabilitation, officially opens National Prison Radio’s refurbished studios in HMP Brixton. PRA Productions comes second in the Indie of the Year category at the Radio Academy’s prestigious Radio Production Awards. In August 2015, National Prison Radio goes beyond the prison walls for the first time with the launch of the Best of National Prison Radio Podcast. A monthly digest of highlights from the world’s first national radio station for prisoners, the podcast is a selection of the most powerful, thought-provoking and revealing moments from National Prison Radio’s output. We want to achieve so much more and you support can help us continue to reduce reoffending. Reducing reoffending is of benefit to everybody. Equipping prisoners with skills and confidence is crucial in bringing down reoffending rates. Prison radio offers a unique, innovative and effective way to communicate with prisoners and engage them in education, debate and community. Working alongside serving prisoners and focusing on speech radio, the PRA produces and delivers National Prison Radio, broadcasting information and educational materials which support the National Offender Management Service (NOMS) reducing reoffending agenda. Jon is a multi award-winning journalist. He was an assistant to Lord Longford and was a VSO volunteer in Northern Uganda. 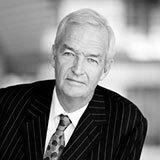 Jon joined ITN in 1976 and became Washington Correspondent in 1984 and Diplomatic Editor in 1986. He became the main presenter of Channel 4 News in 1989. Since then, he has travelled the world to cover the news – from the fall of the Berlin Wall and the release of Nelson Mandela, to Barack Obama’s inauguration and the earthquake in Haiti. 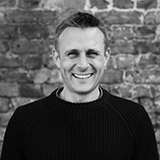 His many awards include the Richard Dimbleby Bafta award for Best Factual Contribution to Television (2005), and Royal Television Society awards for Journalist of the Year (2006) and Presenter of the Year (2009). 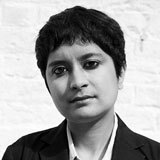 Shami Chakrabarti has been Director of Liberty (The National Council for Civil Liberties) since September 2003. A Barrister by background, she was called to the Bar in 1994 and worked as a lawyer in the Home Office from 1996 until 2001 for Governments of both persuasions. Since becoming Liberty’s Director Shami has written, spoken and broadcast widely on the importance of the post-WW2 human rights framework as an essential component of democratic society. She was born in London and studied Law at the London School of Economics. She is Chancellor of Essex University and a Master of the Bench of Middle Temple. In 2011, Shami was invited to be one of six independent assessors advising Lord Justice Leveson in his Public Inquiry into the Culture, Practice and Ethics of the UK Press. She was also chosen as one of eight Olympic Flag carriers at the London 2012 Olympics opening ceremony. In February 2014, she was appointed as Honorary Professor of Law at the University of Manchester. Shami’s first book, On Liberty, was published by Allen Lane on October 2014. 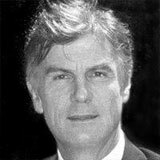 Andrew Phillips, Baron Phillips of Sudbury, OBE is a specialist in charity law. He attended Trinity Hall, Cambridge where he read Economics and Law and in 1970 he founded the law firm Bates, Wells & Braithwaite where he remains a partner. From 1976, he appeared on BBC Radio 2’s Jimmy Young Show as the “legal eagle”, giving legal advice to listeners. He continued in this role until Sir Jimmy Young’s retirement in 2002. He has also appeared on other television and radio programmes such as Any Questions? and Newsnight. He received the OBE in 1996 for ‘establishing the Citizenship Foundation and for services to the law and young people’. In 1998, he was made a life peer and spoke on issues concerning civil liberties. He led the Liberal Democrats’ opposition in the Lords to the government’s identity card and counter-terrorism legislation. He resigned from the House of Lords on 7 May 2015. Michael Hastings, Lord Hastings of Scarisbrick, CBE is KPMG International’s Global Head of Corporate Citizenship. Michael’s began his career as a teacher and then moved into Government service in 1986 supporting policy initiatives to bring employment and development to Britain’s inner cities. He then worked for the BBC and ITV as a journalist and presenter. He spent 12 years at the BBC where he became the corporation’s Head of Public Affairs before becoming the BBC’s first head of Corporate Social Responsibility. He sat on the boards of Comic Relief, BBC Children in Need, the BBC World Service Trust. 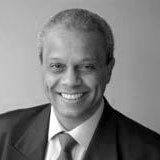 Lord Hastings is chairman of Millennium Promise UK and a member of the global Millennium Promise Board. He sits on the council of the Overseas Development Institute. In 2011 he became a vice president of UNICEF – the UN Children’s and Education Fund. In January 2003, Michael was awarded a CBE in recognition of his services to crime reduction, including 15 years as Chairman of Crime Concern. In 2005, he was awarded an independent peerage to the House of Lords, where his sits as a crossbencher. Erin has over 22 years’ international fundraising experience as a senior executive and consultant. She is presently the Director of Philanthropy at Impetus-PEF. She serves as a member of the Global Leadership Council and the London Board of Seeds of Peace. 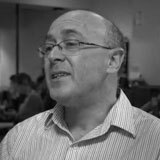 Kieron has worked with hard to reach groups for 20 years across the commercial, public and VCSE sectors and was a founding member of the PRA. He formerly worked for BBC People & BBC Network Radio managing learning content and outreach activity and sat on the BBC’s Corporate Responsibility Reporting Strategy Group. Roma is the founder of the Prison Radio Association. She is a criminal justice advisor and was also the founder of the Make Justice Work campaign. She is currently chair of Spark Inside and Women’s Breakout as well as on the board of the Comedy School. Mark came up with the idea of prison radio and is the founder of Europe’s first prison radio station at HMYOI Feltham, and has worked closely with Roma Hooper for more than 20 years on the development of prison radio in the UK. 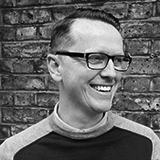 He has spent most of his career in advertising and is now at RKCR/Y&R. Much involved in the arts, Mark currently sits on the Board of the Gate Theatre. He is also a director of Sandlanders Football – a network of community owned African football clubs. Steve Orchard is Chief Executive of Quidem, which runs local commercial radio stations in the Midlands. 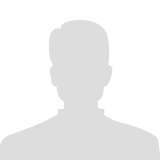 He founded the company after a long and distinguished career at the GWR/GCap/Global group of stations. Paul McDowell was Governor of HMP Brixton at the launch of Electric Radio Brixton. 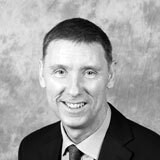 He left the Prison Service to become Chief Executive of NACRO. He was subsequently appointed as Her Majesty’s Chief Inspector of Probation, a position he held until February 2015. Lawrence Galkoff is an experienced broadcast engineer and is a special advisor to the Prison Radio Association on broadcast technology. Alex Bishop is a Producer for the PRA. As well as working with prisoner-producers at HMP Coldingley to make shows for National Prison Radio, Alex is responsible for the charity’s communications. 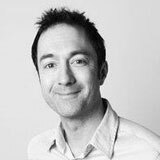 Before joining the PRA in 2013, Alex worked on BBC Radio 2 shows including Jeremy Vine and Ken Bruce, as well as BBC Radio 4’s Any Answers? and Money Box Live. He began working in radio on student and hospital stations in Newcastle-upon-Tyne and has an MA in Radio from Goldsmiths, University of London. 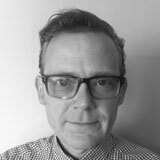 Andrew Wilkie is the PRA’s Director of Radio. He has overall responsibility for all of the PRA’s production and broadcasting, including National Prison Radio and productions for BBC Radio and other organisations. He joined the PRA in 2007 to launch its first radio station, Electric Radio Brixton, where he led his team of prisoners to multiple Sony Radio Academy Awards. He then transformed this local service into National Prison Radio and has overseen it ever since. 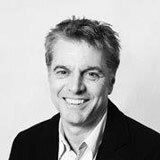 Prior to this he worked extensively for BBC Radio 1, Radio 2 and the BBC World Service as a reporter and producer, and then as a producer for Global Radio, the UK’s largest commercial radio group. Arthur Hagues is based at HMP Coldingley. He is responsible for National Prison Radio’s weekly programme show designed to promote the work of voluntary, community and social enterprise organisations in the prison sector. Prior to working for the PRA, Arthur studied Press and Editorial Photography at Falmouth University, producing a number of photographic and multimedia documentary projects focussing on the use of radio as a form of social inclusion for vulnerable communities. Chris Impey is the Managing Editor of National Prison Radio. He heads the charity’s radio projects in HMPs Brixton and Coldingley. 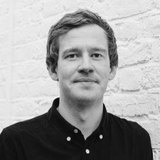 Chris joined the PRA in 2009 to help develop National Prison Radio. Before that he worked at the BBC for ten years making programmes and documentaries for Radio 4, Radio 5 Live and the Asian Network with presenters including Alex James, Matt Baker and Stephen Nolan. He began his media career as a reporter and newsreader at BBC Local Radio. In 2013 Chris wrote and produced two documentaries for BBC Radio 4 about the history of HMP Brixton. 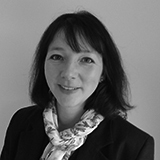 Gabrielle joined the PRA in 2014 as Finance Director. She has overall responsibility for all the finances of the organisation and is also involved in HR and fundraising. Gabrielle is a Chartered Accountant and specialised in charity accounting from the start of her career. Once qualified she moved from practice into charities, working with Action on Addiction and WSPA among others. She has also completed a Diploma in Charity Accounting and Financial Management from Cass Business School. Heather’s role is to raise funding for the charity, in order to improve National Prison Radio and develop new projects. Heather also ensures funders are kept informed about our progress and new opportunities to be involved in our work. We have received funding from a variety of sources, including grant making trusts and foundations, organisations and individuals. If you would like to hear more about ways to support PRA please contact [email protected]. Jo Meek is the PRA producer based in HMP YOI Styal. Working alongside the women there she produces the Family Request Show and Prime Time. Jo’s radio career has spanned 15 years during which she has produced and executive produced programmes for all the BBC’s terrestrial UK radio networks, in addition to the BBC World Service, ABC national radio in Sydney and many commercial networks. Jo is a co-director of Manchester based Sparklab Productions. She has won several awards including a Sony, a One World award and several international radio awards. She recently fulfilled a long held ambition and produced Woman’s Hour. Muna Ahmed is the PRA’s Station Sound Producer. She is responsible for the overall sound of the station. Before joining the PRA in 2013, Muna worked at Warren Hill Young offenders as a radio tutor. She also produces national radio promotional campaigns for BBC Cross Trails. 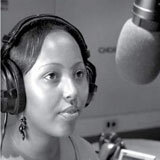 Muna’s passion for radio began at Birmingham City University where she gained a first class degree in Media and Communications. Nancy Prentice has responsibility for a number of shows on National Prison Radio alongside her team of prisoner-producers. Nancy also produced a documentary for BBC Radio 1 in 2013 called Girls On Film. Before joining the PRA she worked with community station Reprezent in Peckham training young people in radio skills. Nancy worked at Kiss from 2006- 2010 as a producer. As well as developing many new DJ’s and shows, she won 2 Sony Radio Academy Gold Awards in 2009 as the producer of reggae legend David Rodigan. Nancy worked at 1Xtra at the launch of the station as a broadcast assistant. Nancy studied Communications at Goldsmiths University and after completing the course she set up her own youth media training company. 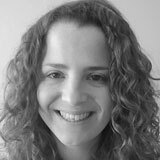 Natalie joined PRA in 2013 and is based at HMP Brixton. She currently produces National Prison Radio’s daily programmes aimed at reducing reoffending and promoting discussion of issues relating to crime, justice and imprisonment. Natalie has worked in the music industry for many years – as a DJ, radio presenter, label owner/ A&R, PR and at independent specialist record shops. She has more than 15 years experience as a radio presenter, hosting regular shows on numerous stations including BBC 1Xtra (5 years), BBC Radio 1 and Rinse FM (5+ years), while concurrently working as a club DJ playing at venues and festivals around the world. Perri works with prisoners to develop and produce programmes for broadcast on National Prison Radio. She is also responsible for producing National Prison Radio Takeover Days, visiting other prisons and gathering content for broadcast. She also has the enviable job of reading and logging the thousands of letters prisoners send to the station. Perri has worked as a radio production tutor at HMP YOI Warren Hill. She gained a degree in Radio Production and Media Studies from the University of Chester, and has volunteered in both community and hospital radio stations. 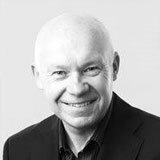 Phil Maguire is the founding Chief Executive of the PRA and drives the overall strategic direction of the charity. He developed the idea for, and subsequently launched National Prison Radio, the world’s first and only national radio station for prisoners. Phil worked in the fields of social work and education before entering the world of radio. After gaining an MA in Broadcast Journalism he worked producing and reporting on current affairs for BBC Radio 2’s Jeremy Vine Show and subsequently became the BBC’s Prison Radio Project Coordinator – managing a successful multi-agency partnership between the corporation and the Ministry of Justice. Sally joined the PRA in 2016 and is responsible for raising funds to support the PRA’s valuable work. She’s worked in fundraising for over 10 years for a range of different causes from medical research to sustainable development, securing gifts from £1 to £1 million. 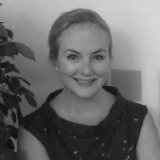 Sally specialises in major gift fundraising and capital appeals, and has worked as part of the executive team on a national review of philanthropy. Sarah’s role is to support the men and women we work with at HMP Brixton and HMP YOI Styal into sustainable employment and training opportunities on release. Before joining the PRA in 2017, Sarah worked at the BBC for 9 years, coordinating and production managing radio drama, factual programmes and live news content. She started working as a freelancer for a number of independent production companies in 2015 and continues to work for Reduced Listening and Sparklab Productions alongside her work at PRA. Sonya is responsible for conducting and analysing quantitative and qualitative research across prisons in England and Wales to develop an understanding of how our listeners benefit from National Prison Radio. Sonya has a Masters in Social Research from Goldsmiths University, where she developed a creative research methodology for her study on ‘Empty Seat’ which defines today’s unspoken racism (also referred to as aversive racism). She previously worked at the National Centre for Social Research and the Jubilee Debt Campaign where she conducted an ethnographic study on NGOs. 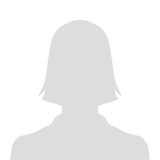 Sophia is an Assistant Producer based in HMP Styal. Working with the women in Styal, she oversees production of National Prison Radio’s Request Shows and a selection of other music programming. Sophia is a graduate from the University of Salford where she studied Television and Radio. She also works for other independent production companies as well as the BBC. Suzi is a PRA producer in HMP YOI Styal. She co-produces the Sound Women Show and Family Request shows and enables female prisoners’ voices to be heard right across National Prison Radio. Suzi is a broadcast journalist and has worked in the Middle East and the UK. She’s read and produced news, in addition to current affairs programmes and documentaries. Her experience includes BBC Radio 1 Newsbeat, 1Xtra, Five Live, BBC Radio York and Merseyside. She spent two years living in Dubai, working at commercial stations Dubai Eye and Dubai 92. 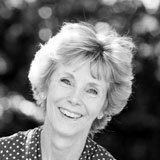 She also holds a PGCE and has taught radio production at Styal and The Manchester College. Tim Colman joined the PRA as Director of Development in 2018. 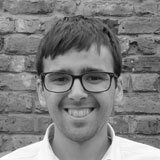 Tim has a decade’s worth of fundraising, business development and account management experience across the private and non-profit sectors. For the past five years, Tim has worked within the London penal voluntary sector, firstly at Switchback and then Only Connect, developing and funding projects which support individuals post-release. Tim has an MSc in Criminology & Criminal Justice from London’s City University. If you’re keen to partner with the PRA please contact Tim.